Shipping Notice: This title is now shipping as of 11/15/2018. 4 Discs For The Price Of 4! Journey once more through the portals on the Satellite of Love to the best of the worst that cinema has to offer. 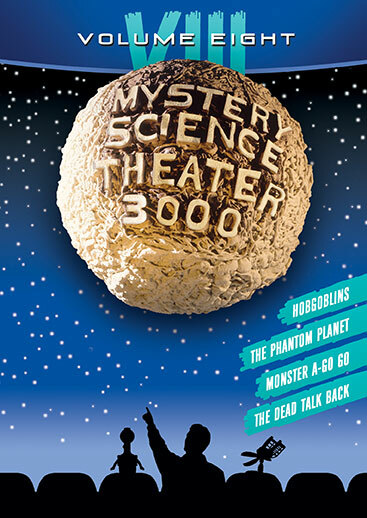 That's right – Mystery Science Theater 3000 is back to share your pain and hopefully make you laugh, even as you groan. 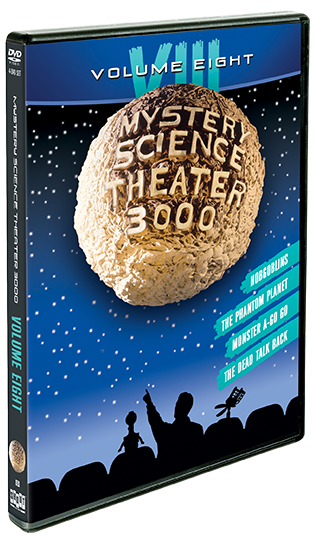 Joel, Mike, Tom Servo, Crow and the lovable tyrants who hold them captive in space do another hilarious orbit around four full-length features (and two shorts), presenting the kind of skits and wisecracking commentary that are clearly written by the culturally insane. This is Mystery Science Theater of the absurd, so consider yourselves warned ... and enjoy!